Visiting Patagonia was my dream since I could read a map. Back in the ages when the internet was not a thing for searching information I used to browse old-school atlas and set eyes on this southernmost piece of land that many called the end of the world. 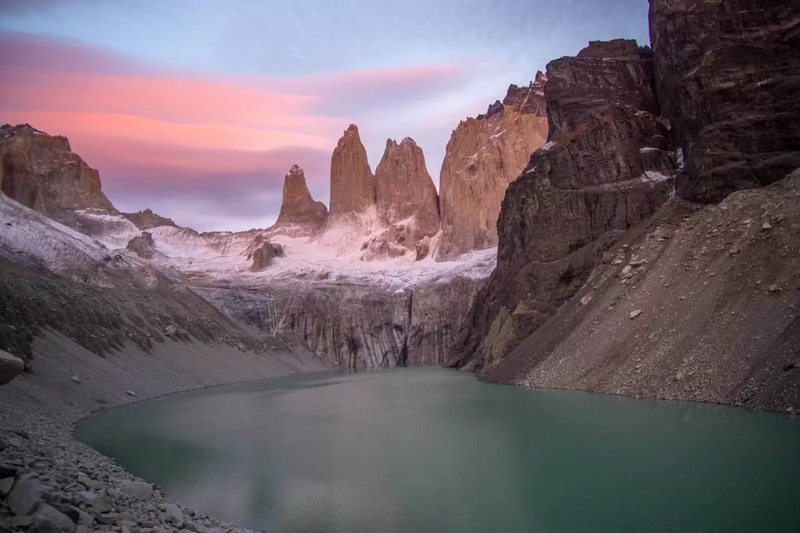 I had the pleasure of visiting Patagonia in both Chile and Argentina and would like to help others planning the perfect trip. When you visit a place so distant, it requires thorough planning. Do you want to know when is the best time to visit Patagonia so you can get ready for maybe once in a lifetime trip to the end of the world? I’m glad you said yes. Read on. Patagonia is a region in Southern Chile and Argentina. 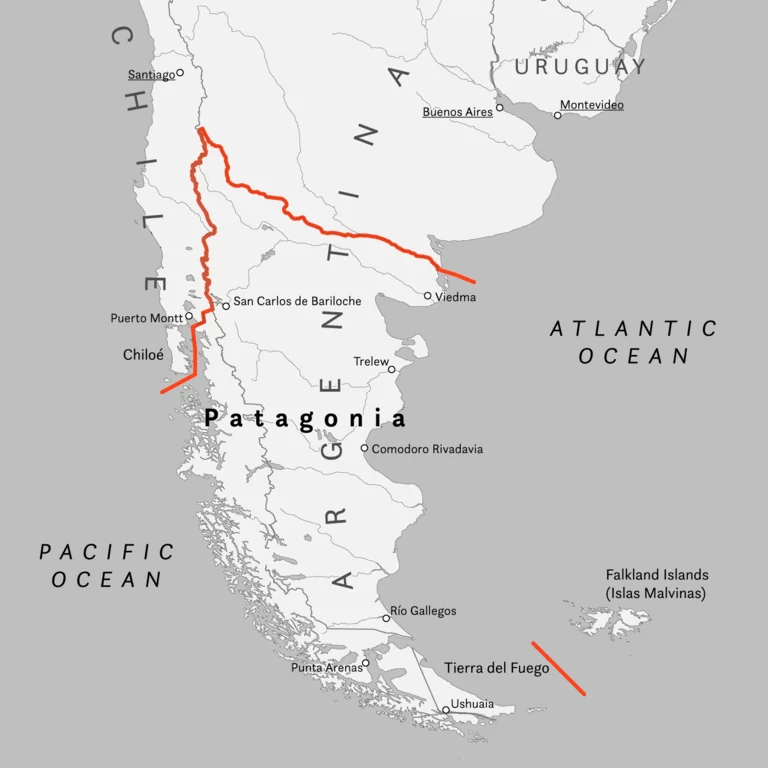 The northern edge of Patagonia in Chile is in line with Puerto Montt and Argentinian border is little bit further north in line with Neuquén city. Most of the area is located in Argentina and by looking on google earth you will notice that Argentinian side is brown – dry desert and farmland. On the other hand, Chilean side is green white and hilly – moist,lush forest with tons of fjords and heap of ice. 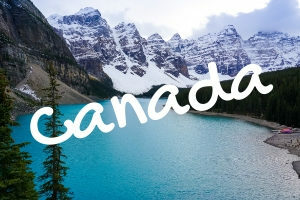 To be fair, even Argentina has some natural wonders. All of them are on the border region with Chile. 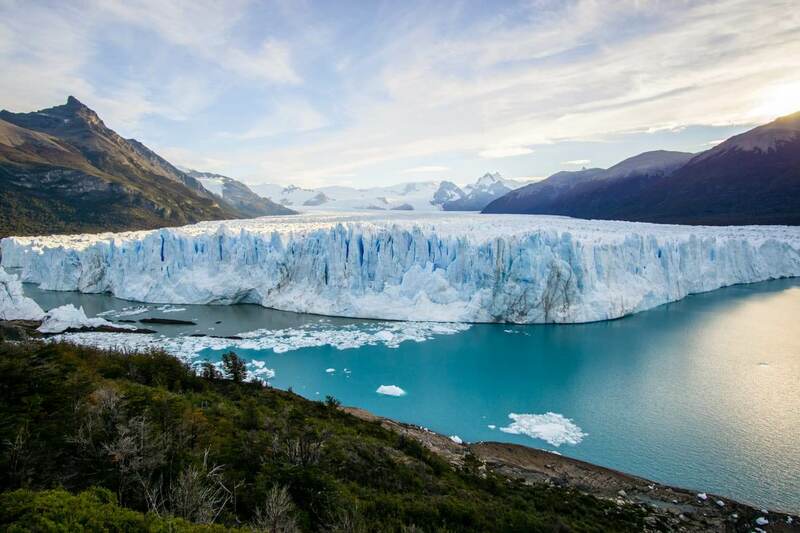 Most resources and tour agencies are trying to sell the idea of only few places such as Torres del Paine, Perito Moreno Glacier, and Tierra del Fuego. 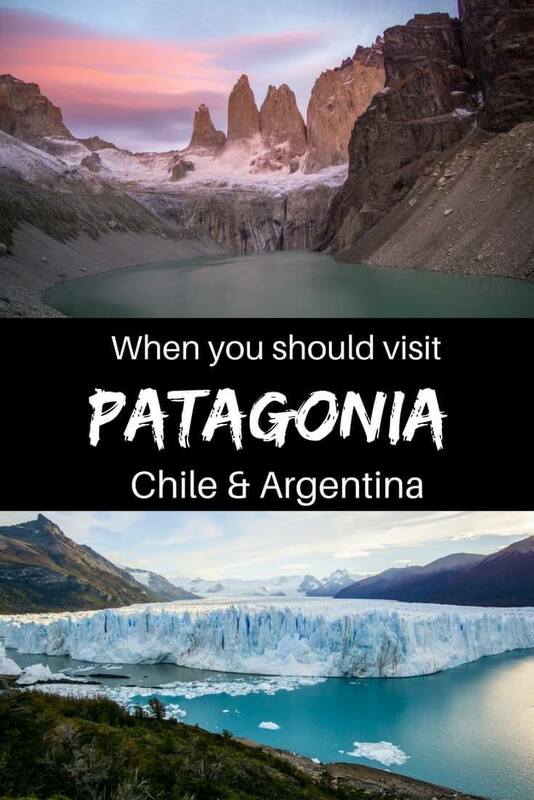 But there is much more to Patagonia than these tourist magnets. Selection of best places is listed further in the article. 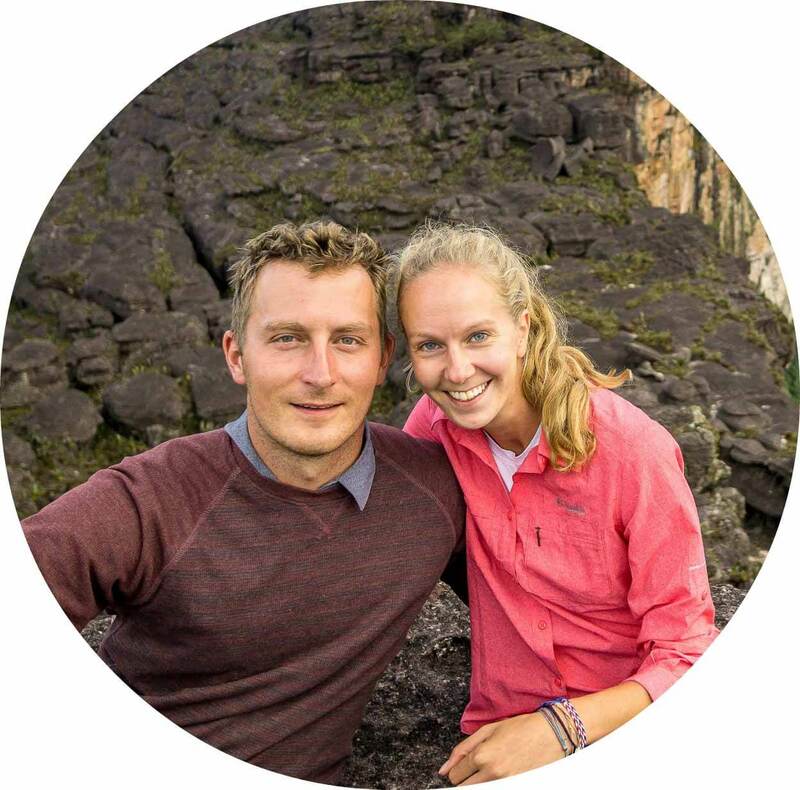 For most travelers coming to Patagonia might be their first trip to the southern hemisphere and more especially to southernmost places in the world of the non-artic continent. As you might recall from Geography classes Southern hemisphere has opposite weather compare to Northern half. That means summer is between December and March, winter is between June and September and so on. Read the season description and decide on your preferences. Our most important factor when we were deciding when to come was to avoid crowds while still having a decent weather. We recommend coming to Patagonia in March and April or beginning of November if your goal is the same. Patagonia and mainly the southern part is the only place in the southern hemisphere that has real four seasons. You won’t find proper winter in New Zealand or Australia nor South Africa. Distance from Cape Horn in the south to the north of Chilean Patagonia is about 1700km, for comparison, it is about the same distance as from New York to Miami so you can imagine how weather can be different throughout. 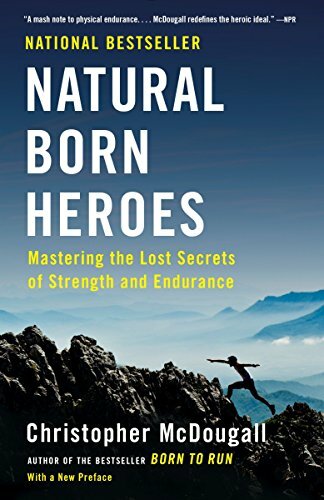 Another important thing to keep in mind is, even when you are not traveling to high altitudes, you will experience mountainous weather which is unpredictable. Any sunny day can turn into a storm or vice versa. Have warm and waterproof layers ready in a backpack. East – dry and clear skies, cold nights, warm and constant winds in summer. Many places in Patagonia receive a snowfall during winter. Snow doesn’t stay on the roads for a whole winter as it happens in the Northern hemisphere. Temperatures can drop to negative numbers in places further from the ocean and days are quite short. Higher mountains stay covered by snow for the whole winter and in Patagonia, you will find many open ski resorts. Some attractions can be closed such as back side of Torres del Paine National Park. Many hostels and hotels are closed during winter, but you can experience almost Alaskan-like solitude without fear of being eaten by bear, clear skies and much fewer winds. This is the best time to come to see pumas descending from mountains into warmer valleys. 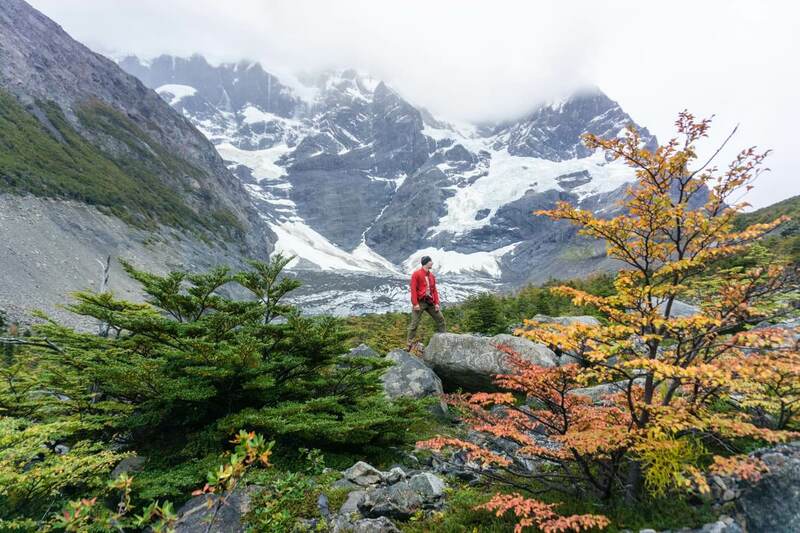 Spring is considered a shoulder season in Patagonia starting in October. Hotels have lower prices than during the high season and usually don’t have to be booked far in advance. In the northern parts, you will already get significantly warmer weather; at the same time in the south around Puerto Williams snow will be still covering some mountains. 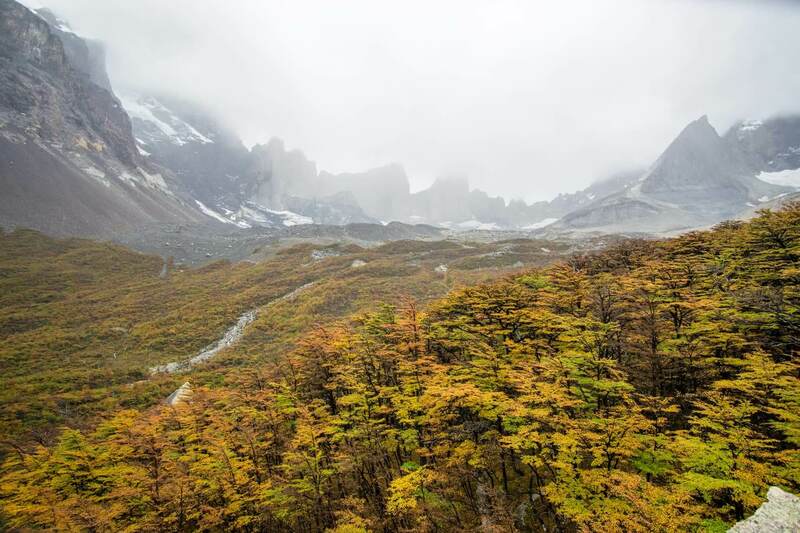 November is the month where north of Patagonia will get noticeably drier. Spring is also a perfect time to observe wildlife and their newborns. Keep in mind that ozone hole is the biggest during spring from September to November and you need to cover your skin and use sunscreen. As most of the travelers visit during summer months many places can burst at the seams. 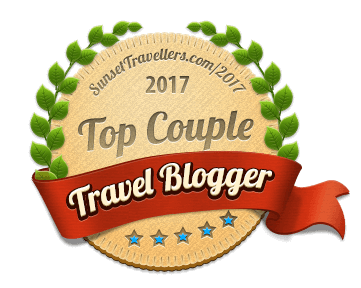 Especially Perito Moreno Glacier or Torres del Paine National Park. Summer months are best for a road trip through the Carretera Austral in Chile. January and February in Patagonia are also school holidays in Chile and Argentina and locals make it even more crowded. On the other hand, it’s warm and weather is more stable. Summer gets also the strongest winds that can reach up to 120 km/h in gusts. The wind is comparable to any other wind gusts during storms in the mountains of North America or Europe. Temperatures during summer months can pass 25°C in northern areas and 20°C in southern places. 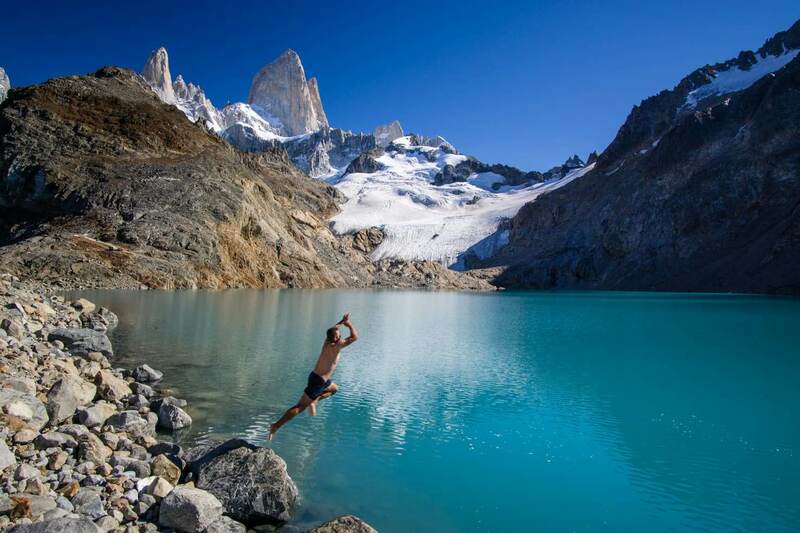 The end of summer is best time for hiking in Patagonia. 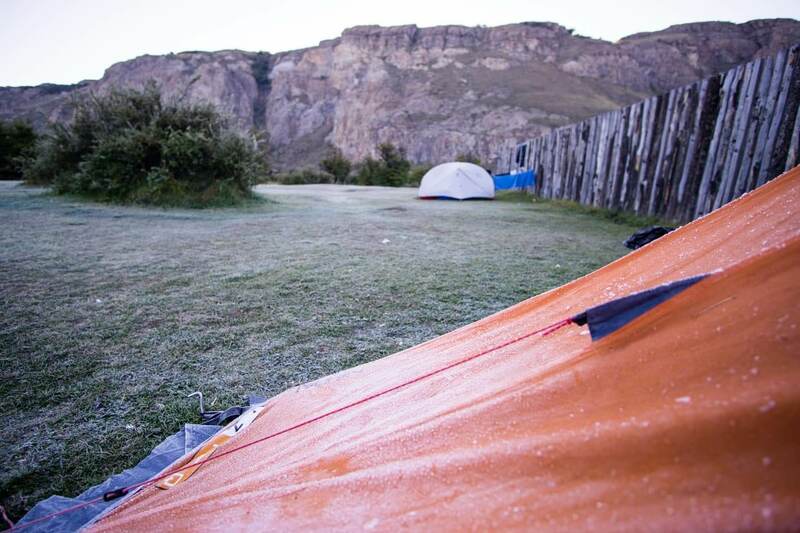 March has still many days with summer temperatures and it is not as windy as in previous months but also expect a little bit of morning frost on your tent. 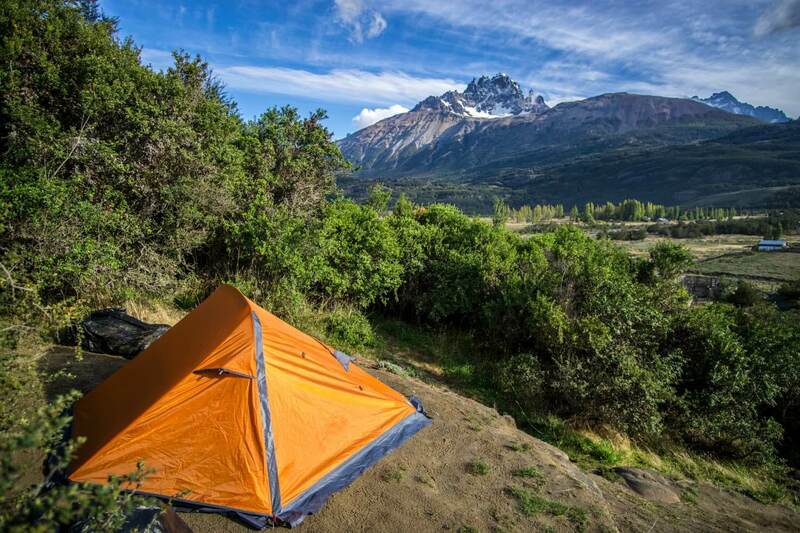 Last month for trekking in Torres del Paine is April, many camps on the back side close in mid-April. Famous big ruptures of Perito Moreno Glacier are usually occurring in March once in four to five years. Next one might happen in 2020 or 2021. Almost all types of wildlife inhabit the land of Patagonia year round. None of these animals hibernate so the best time for photography depends on your personal preferences what you want to photograph and which colours you like. Noticeable animals are guanaco, condor, puma, seals, and penguins. Some marine mammals migrate and spotting them requires booking a tour with travel agencies. Check with them directly where and when those marine tours are available. Some glaciers, mainly those spilling in the ocean, are only accessible with cruise boats. Best time to visit glaciers in Patagonia is during summer months when they thaw and brake off. One ferry supplying the southernmost city in the world pass glaciers in southern Alberto de Agostini National Park. The ferry is operating year round once a week so if you are visiting in winter you will have a chance to see glaciers spilling in the ocean even during winter. As you can see, the best time to travel to Patagonia always depends on your preferences. We spent more than 6 weeks between Puerto Montt and Puerto Williams and can definitely recommend to visit Patagonia outside the summer high season either end of November or March and April. Let us know when you want to visit and what would you like to see. or will many roads be closed due to snow or flooding? ?